Tanveer, 12, and Shakeeba, 10, hand out water to the thirsty delegates in the sweltering Hampshire countryside. 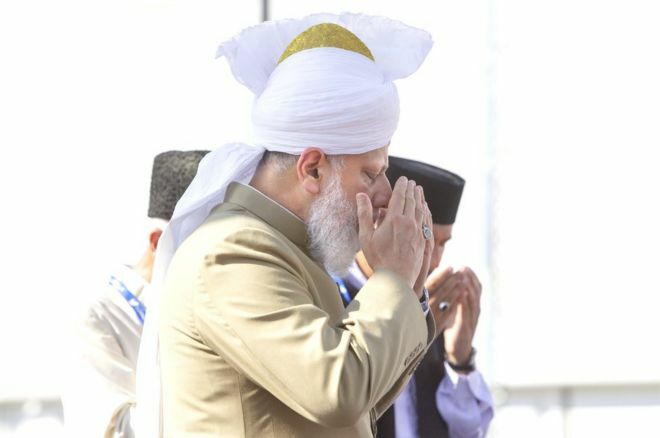 They are part of a 7,000-strong volunteer force of mainly young people running this event, known as the Jalsa Salana (annual convention), for the Ahmadiyya Muslim Community. 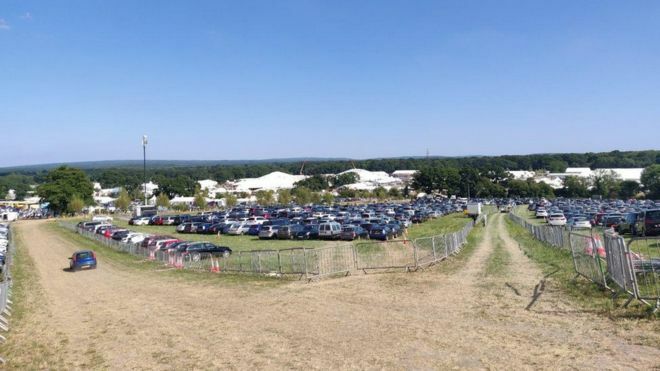 Some 38,000 international guests have gathered at an empty farm in Alton, transformed into a fully functioning makeshift village. 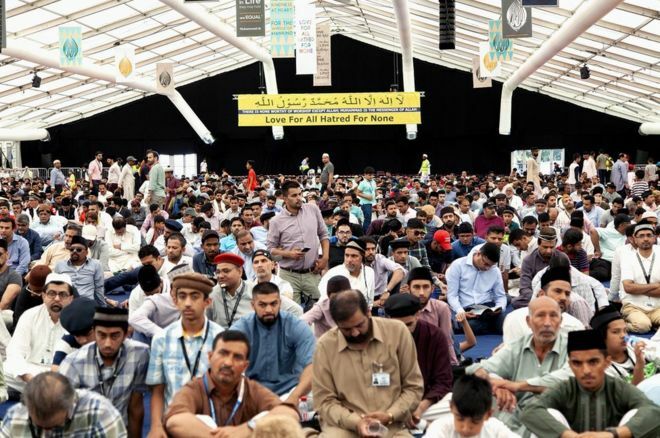 Now in its 52nd year, the Jalsa Salana runs for three days every summer and is entirely funded by donations from community members. 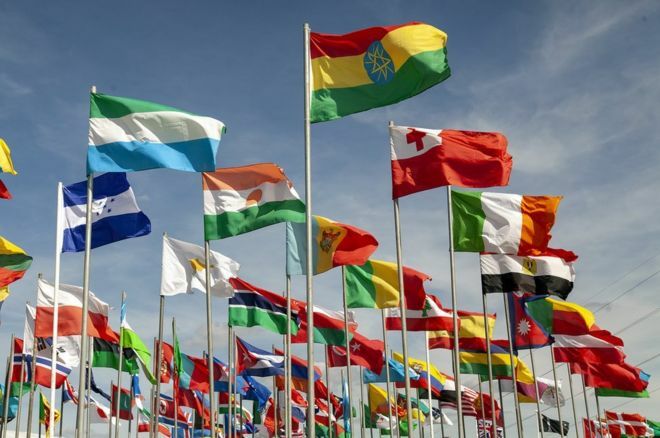 Some guests who attend the event are surprised at what they see, says Danila Jonnud, 13, from Aldershot, who gives tours to external invitees at the Jalsa. “They are surprised at how free the women are and how diverse it is,” she says. Women run their own half of the venue by themselves. In line with Islamic teachings, women pray separately, as in a mosque, and have autonomy over their own affairs. Organisers say this respects their privacy and allows men and women to concentrate on religious matters in a spiritual atmosphere. Men aren’t allowed in their section but women frequently visit the men’s section to see special exhibitions and displays. “In the media they just hear that women are oppressed because of the headscarf and their husbands own them but when they go to the ladies’ side, women are free, walking around, shopping, eating, listening to the speeches. “There’s no sign of oppression. “Anyone who would come here, it would change their view entirely. “It’s a matter of people having the wrong opinion and being too narrow-minded, generalising all Muslims. Danila has been volunteering here as long as she can remember and is considering a career in journalism. 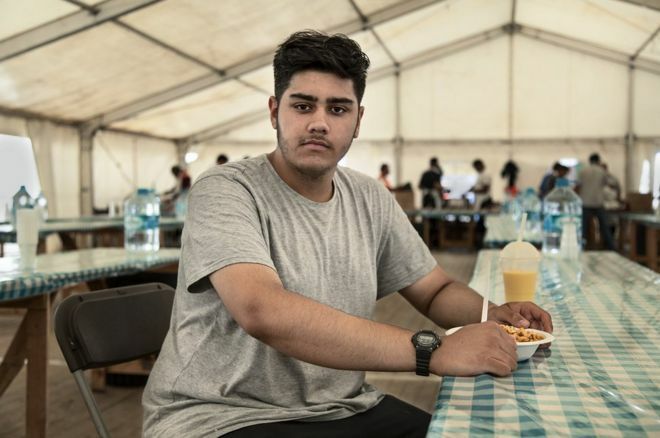 Weaving in and out of rows of guests seated in the giant marquee as he carries plastic cups and a water bottle, Tanweer Ahmad, 12, from Tooting, takes his duty seriously. He says: “People get hot and thirsty and they don’t want to leave the marquee to get water. He has been serving water to guests here since he was six. He says: “If we’re going into the marquee, we can also listen to the addresses as well. 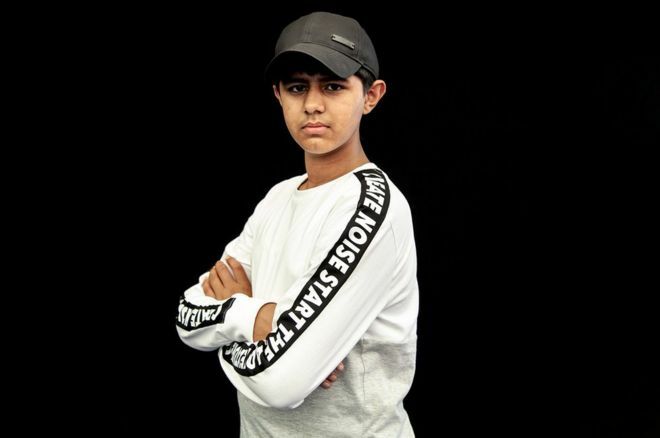 In Year 8, he enjoys maths and PE at school and wants to go to imam school. Shakeeba Khan, from Tolworth, London, performs the same role in the ladies’ section. She’s keen to not waste her summer holidays. “I don’t think that holidays should just be about fun, you should take a break to do something, work as well. 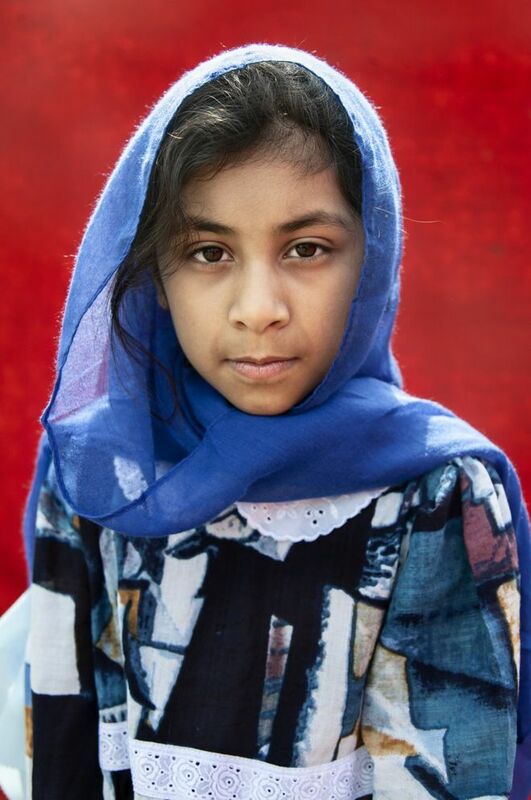 Shakeeba, who wants to be a primary school teacher, has been serving water at the Jalsa since she was seven. 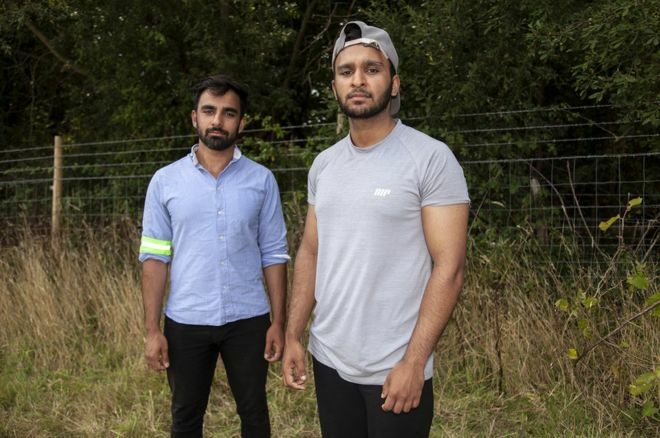 Standing for hours on their feet under the baking sun in a field full of cars are brothers Jamal, 23, and Faiz Chughtai, 21, from Hall Green, Birmingham. They have the complex task of directing cars in and out of the car park. 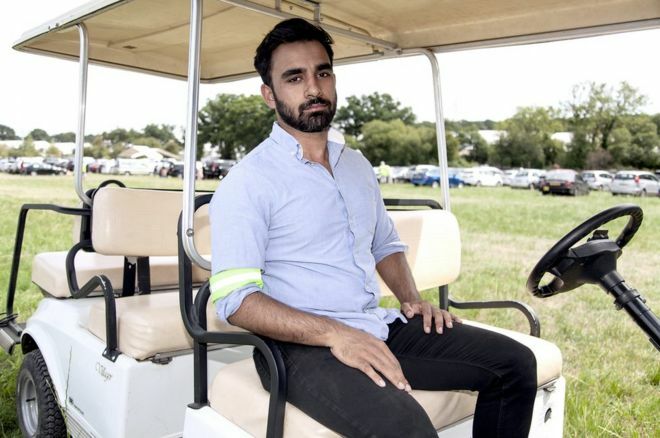 “It is an unmarked field, so trying to organise cars to leave in an orderly manner is sometimes really difficult,” Jamal says. Faiz says: “Everyone just wants to get home. It’s been a long day, very hot. 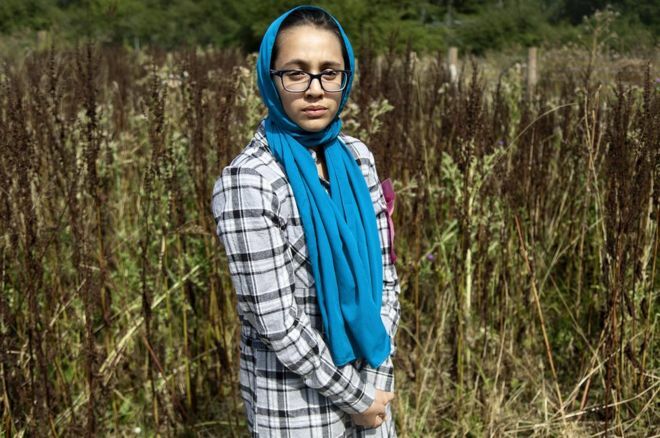 They and another brother came to the UK as toddlers with their parents, seeking asylum. Their father, Ijaz Ahmad Chughtai, died two and a half years ago. Jamal says: “Me and my brothers have always been close. We lived on a council estate and always had a brotherly bond. I’m more protective of them now”. Jamal is an assistant engineering manager on a graduate scheme, working on the HS2 railway project. Faiz is a fourth-year medical student at St George’s, University of London. Their father has been the main inspiration in their life. 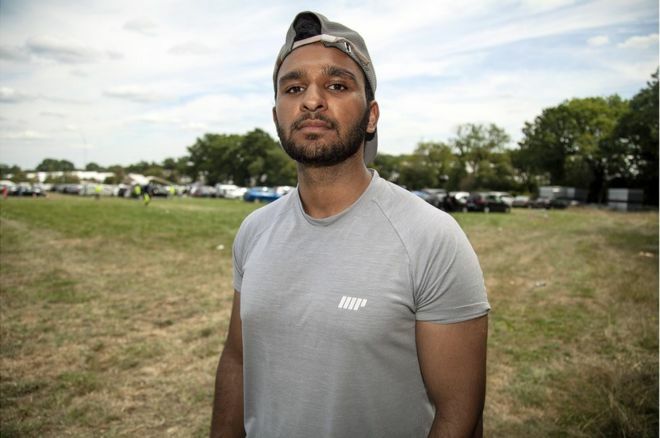 “He would always more proudly tell people that ‘My children are volunteering for Jalsa,'” Faiz says. “His prayers have helped us so much. Those blessings have always been there for me. “The most remarkable thing was his character, a person who never shouted at us or disciplined us in a harsh way. “Despite difficulties with his health and finances, he never had sadness on his face. “I would describe it as ‘complete trust in Allah’. The brothers started volunteering at the Jalsa as water boys and have been helping in the car park for the past few years. Cleaning toilets isn’t everyone’s idea of summer holidays but 18-year-old trainee imam, Ehtesham-ul-Islam, says he enjoys it. 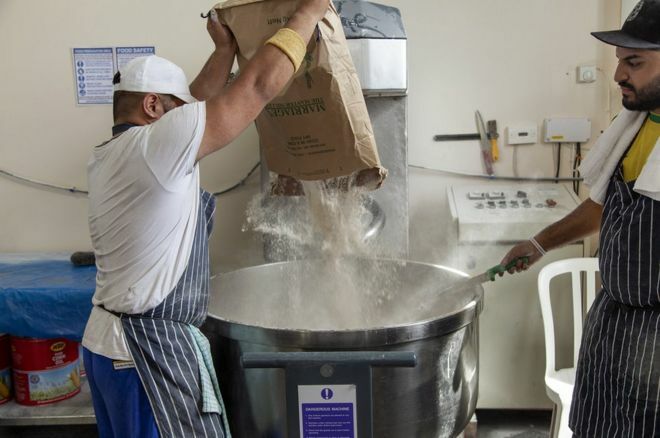 “The first few minutes I was like, ‘What am I doing?’ but then you start thinking positively,” he says. “It’s very humbling, cleaning toilets. They’re really dirty. You feel really humbled as you are doing something other people would avoid doing. “As an imam, being humble is important. It is his 12th Jalsa Salana and he has been helping prepare for the event all week. 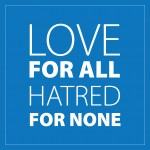 Ehtesham-ul-Islam is from Moss Side, Manchester, but is studying at the Ahmadiyya Muslim imam school, known as Jamia, in Haslemere, Surrey.